Hello everyone, how was your New Year Celebration? I believe everyone of you must have enjoyed your parties and family gatherings. In our home we prepared a little food for the family. We had fun bonding with each other as each of us don’t see each other often because of our busy schedule and work. I will be posting food photos in my next post so better check out. 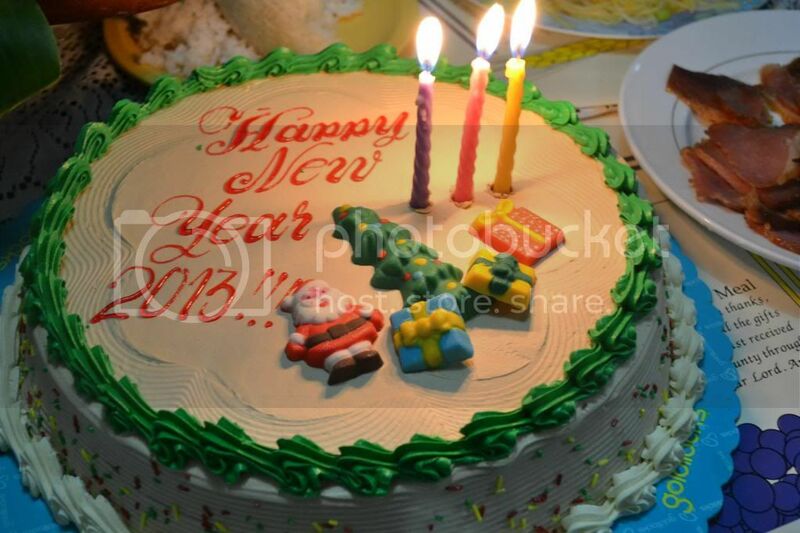 For now, here’s our New Year cake bought from Goldilocks. May you all have a blessed and prosperous New Year!